Wednesday January 17 from 6-7:15 Eastern. For the first time (and hopefully not the last), I’m offering a virtual yoga class. It’s been snowing all day here in Durham, and I’m afraid I cannot host my regularly weekly Yoga for Queers and Misfits / InQlusive Yoga class. So I’ve decided to offer this opportunity for folks to join remotely. Hop on over to my Square store to buy a class, for $5, 7, 10, or 15. After you check out, I’ll send you a link to join over Zoom. That’s it! You can join with just audio or from your computer/with video. It’s experimental, but let’s see how it goes. The winds of change are settling in. Just when we got acclimated to the heat of summer, fall arises to remind us of the constancy of impermanence. The transition to fall doesn’t have to be jarring, disruptive, or depressing. If we learn to work with the seasonal shifts, we can welcome and even relish the opportunities that fall provides to slow down, turn in, and get grounded. Instead of resisting fall or stumbling through, with the help of yoga and Ayurveda, we can Fall with Grace. *Sign up for the whole series by Monday, September 4th and receive two special offerings – a Fall Survival Kit and a specialized and detailed guide to managing your doshas. Inspired by the example above from Dr. Nayeli Chavez-Dueñas @NYChavez and Dr. Hector Y. Adames @HYAdames [Twitter handles], I offer a version for white folks. Love and struggle. Please note I no longer update this page on the regular – follow me on Instagram to get all my posts and info right away. All-levels, inclusive, donation-based yoga for all. We are in the time of Cancer. The watery depths of connectivity. As Chani Nicholas reminds us, “What is moist becomes permeable and able to join with another.” This is a time of choosing care and connection over corruption and cowardice. This is a time for loving and protecting each other, as Assata enjoins us. “Care is our greatest currency. When we invest in caring for ourselves, each other, and the world around us, the returns are invaluable,” Chani says. This is the time to evoke the nurturing, equalizing, and expansive power of water. 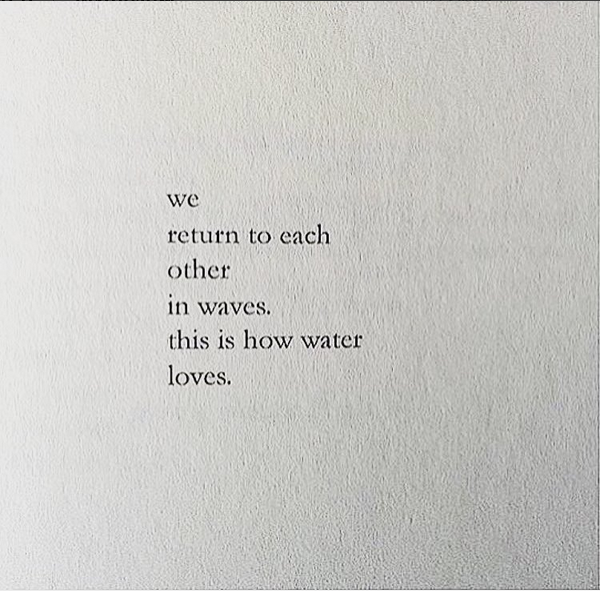 To make ourselves vessels of care, vehicles of connection. 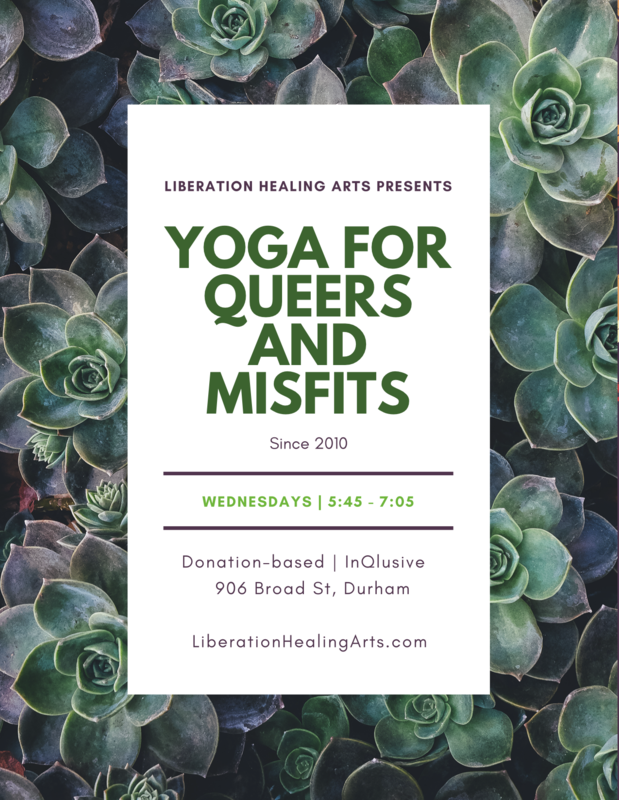 Join me tonight at Yoga for Queers and Misfits as we tap into the depths of our own capacity for compassion, care, and connection. 5:45 – 7:05 at Health Associates on Broad St.